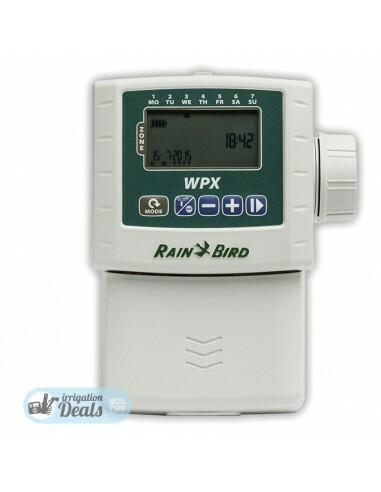 Rain Bird WPX6 - 6 Station Battery Controller - Stock Prices! WPX SERIES - Easier, tougher and longer lasting battery-operated controller. 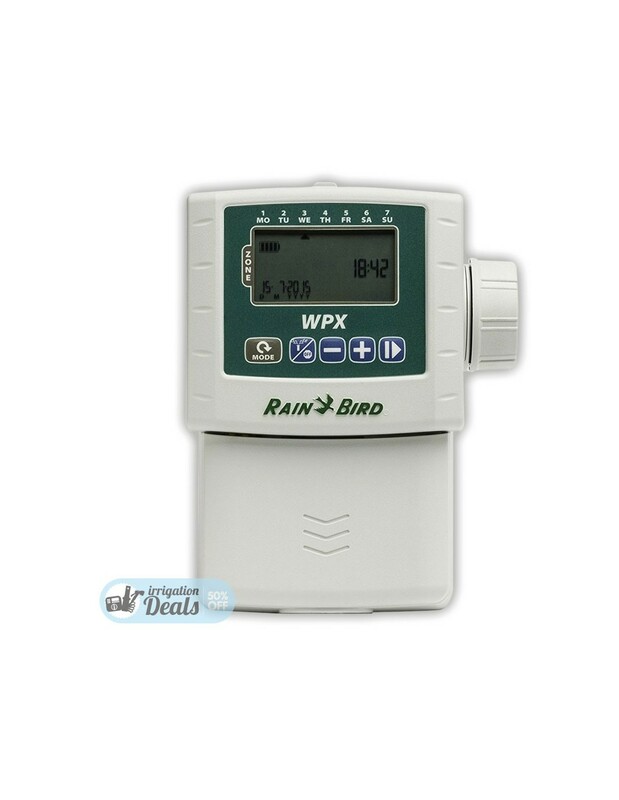 Convenient, durable option for providing uninterrupted irrigation when AC-power is not available. Waterproof case ensures long life even when installed in a valve box. IP68 certified for protection against dust and water intrusion.